In light of aging infrastructure and the need to increase resilience to climate change, the construction industry is poised to grow significantly in the coming years. This new report from the Emerald Cities Collaborative and PolicyLink discusses how to ensure that minority-owned, women-owned, and disadvantaged businesses can participate in and benefit from this growth. 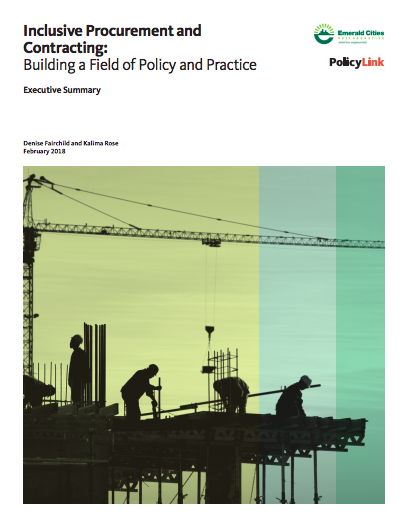 Outlining policy recommendations around inclusive procurement, the report recommends a capacity-building initiative and the creation of a community of practice to increase knowledge of how to shift spend towards these enterprises.